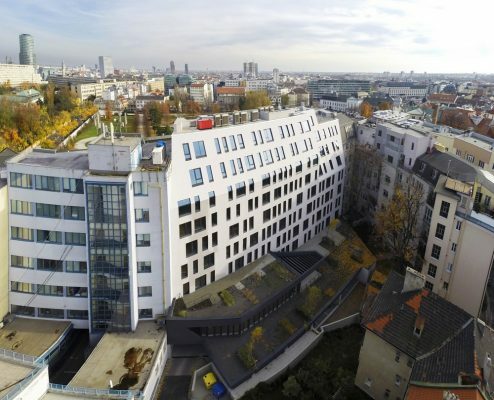 Sokolská Residence, an exceptional residential house, is located in the city centre, in the diplomatic district of Bratislava (Slovakia), surrounded by embassies, representation offices and the residences of diplomats. 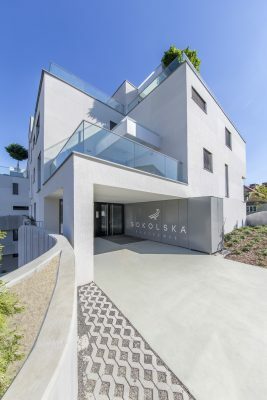 The aptly named street – Sokolská – represents the border between the town and a hill, between five- to six-floor residential houses in the east and a villa zone in the west. 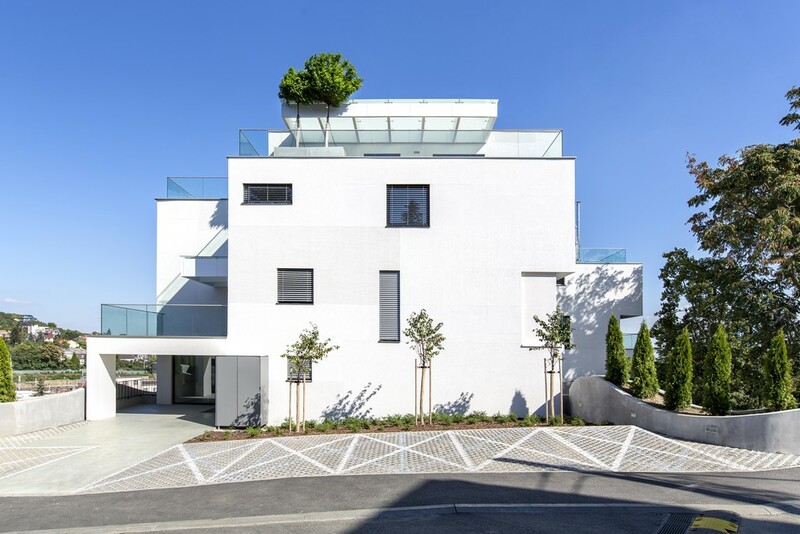 Architekti Šebo Lichý did their best to fit the residential house to this environment; as a result, from one side the building looks like a smaller seven-storey residential house and from the other a larger three-storey elegant city villa. The mass of the building is visually divided into two parts thanks to concrete waves. 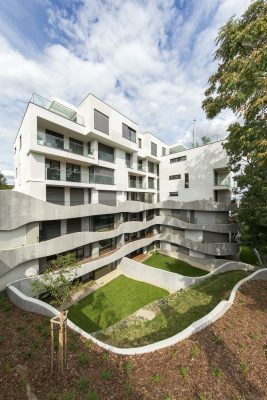 The lower part reflects the topography of the surrounding terrain, while the upper part refers to the nature of the surrounding buildings. The residential house is located on a quite steep slope so it was necessary to design supporting walls and to integrate them in its composition. 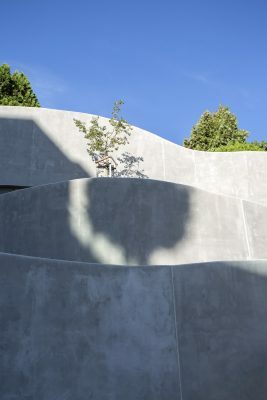 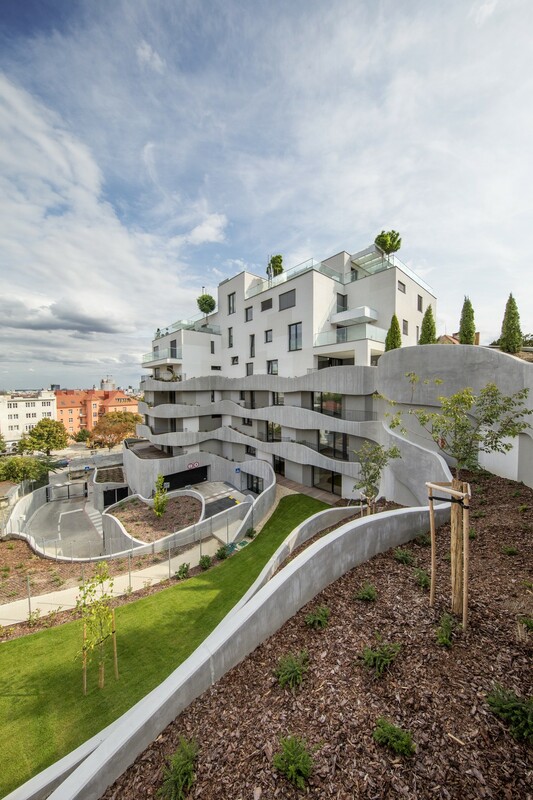 This function is performed by the concrete waves which run from the building’s façade to the surrounding terrain, creating an interesting space. 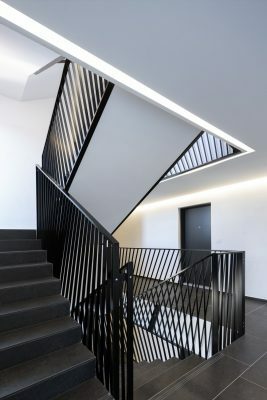 At the same time, they create fire division lines between the floors and respond to the room type in the apartments; that is the reason why, in some places, the wave goes up and in some places down, depending on the light technology used. This gave rise to pleasantly sunny, airy and spacious apartments with beautiful views. 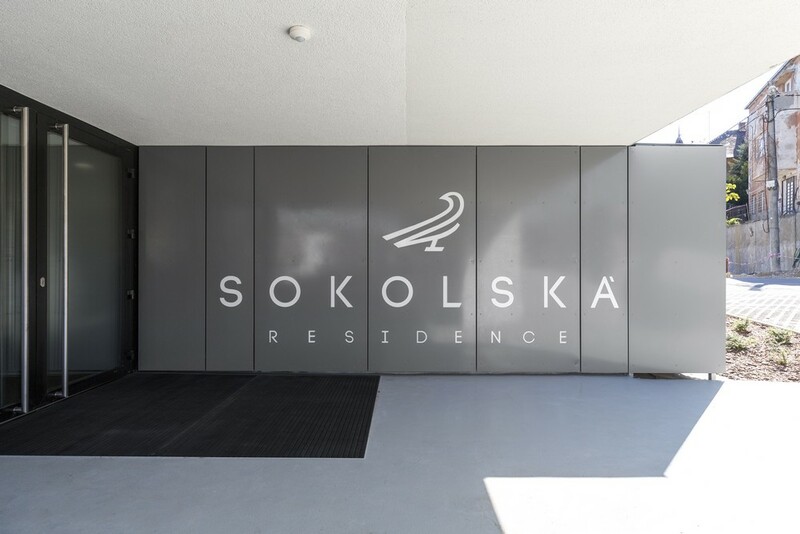 Sokolská Residence is a small project with only 35 apartments designed for top-quality family living. 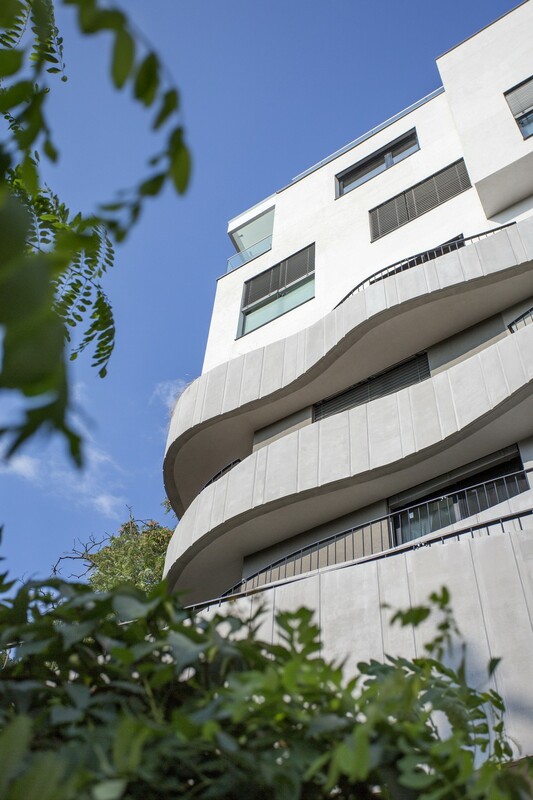 The residential house offers a suite and two-, three-, four- and five-room apartments. 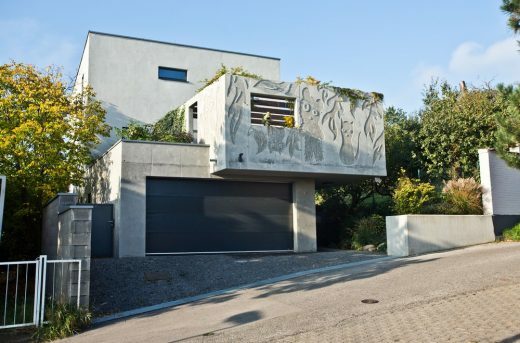 There are 57 parking places in two underground garages and a further 7 outside. 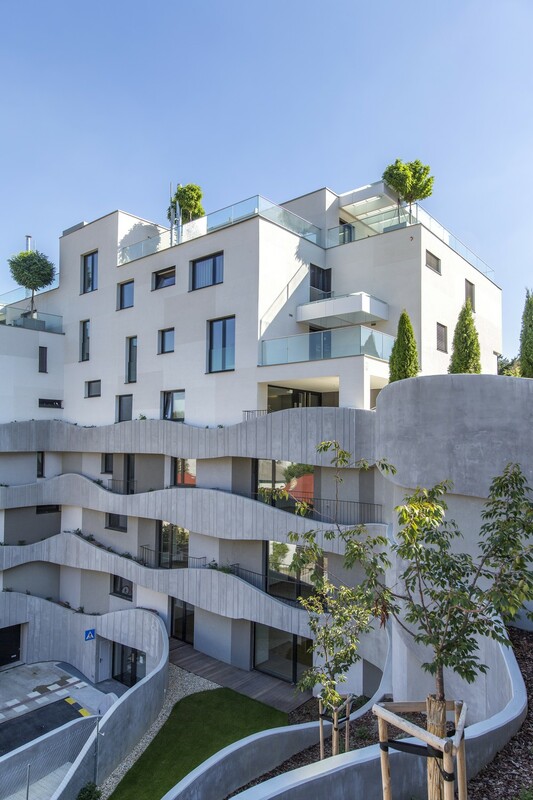 On the top floor you may find two above-standard penthouses (217 m2) with terraces (266 m2). The apartments on the 3rd floor have private front gardens with lawns. 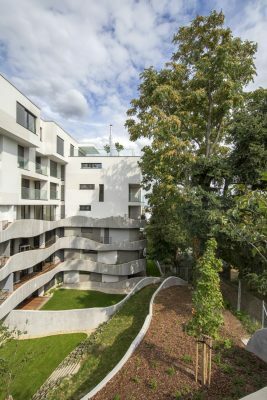 In addition to the gardens, the inhabitants of the apartments may enjoy stunning views, quiet shaded loggias and green areas. 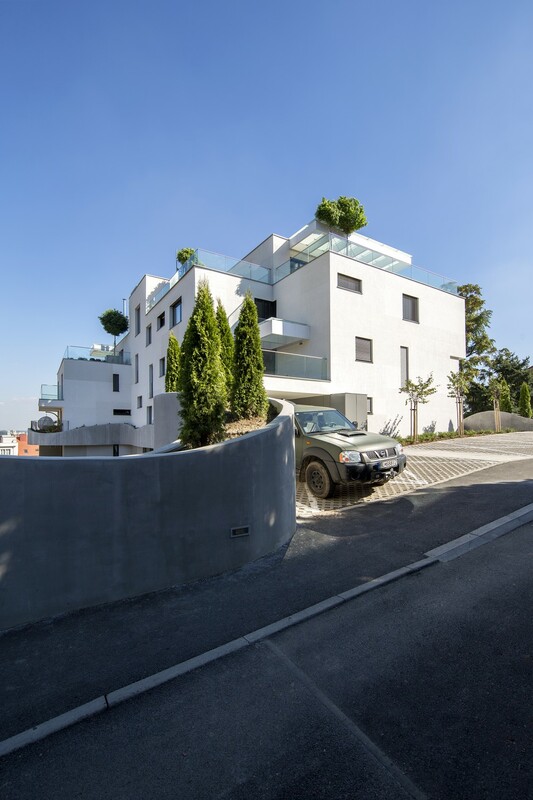 The architects decided to highlight the exceptional environment of the residential architecture in connection with the mountainous nature of the area and they integrated the project smoothly into the local environment. 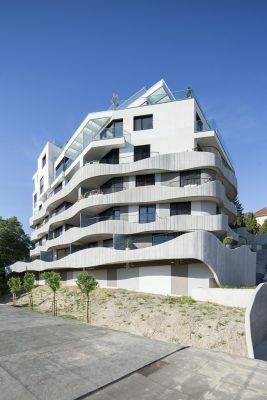 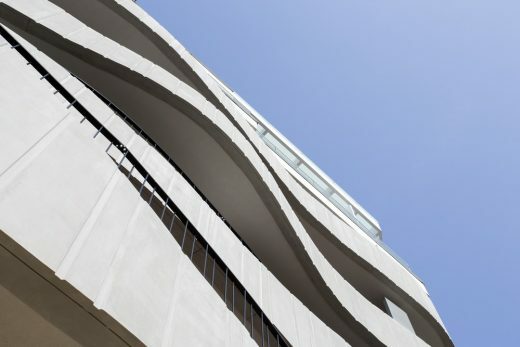 The entire façade is a combination of white and concrete-grey shades, which makes the building elegant and fresh in connection with the wavy balconies. 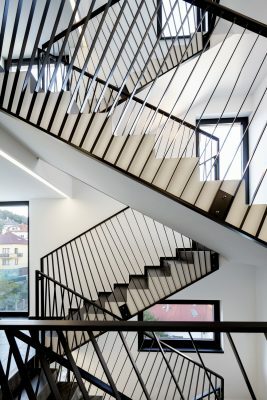 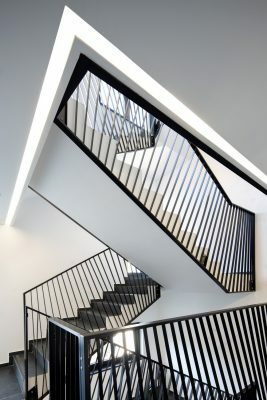 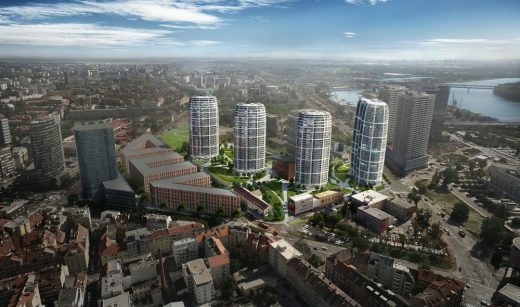 The architects managed to not only visually connect the building to the surrounding area but also to enliven Sokolská Street and its urban context. Architect: Architekti Šebo Lichý s.r.o. 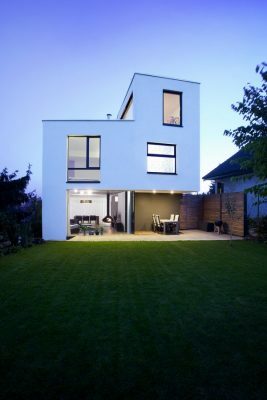 General contractor: ITB Future s.r.o. 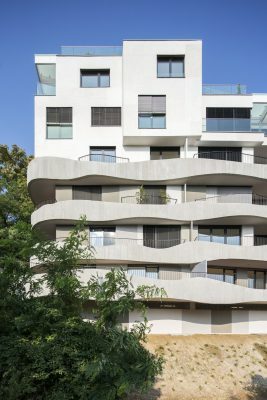 Parquets Wooden: PARKETT DESIGNER s.r.o.